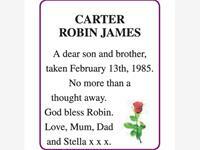 CARTER ROBIN JAMES A dear son and brother, taken February 13th, 1985. No more than a thought away. God bless Robin. 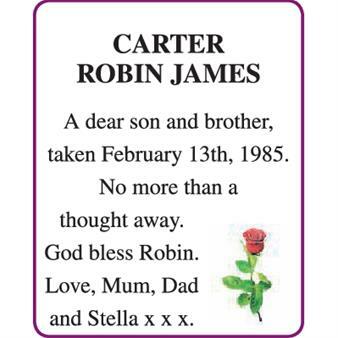 Love, Mum, Dad and Stella x x x.